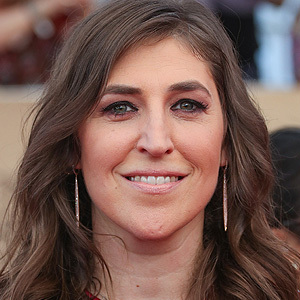 Mayim Bialik has spent a good part of her life in front of TV cameras: first as the child star of the hit comedy series Blossom, and more recently as Sheldon Cooper’s love interest — a nerdy neuroscientist — on The Big Bang Theory. (In between, she actually earned a PhD in neuroscience from UCLA…but that’s another story.) As a child, Bialik had a serious overbite — but with all her time on camera, braces were just not an option. “I never had braces,” she recently told Dear Doctor – Dentistry & Oral Health magazine. “I was on TV at the time, and there weren’t a lot of creative solutions for kids who were on TV.” Instead, her orthodontist managed to straighten her teeth using retainers and headgear worn only at night. Today, there are several virtually invisible options available to fix orthodontic issues — and you don’t have to be a child star to take advantage of them. In fact, both children and adults can benefit from these unobtrusive appliances. Tooth colored braces are just like traditional metal braces, with one big difference: The brackets attached to teeth are made from a ceramic material that blends in with the natural color of teeth. All that’s visible is the thin archwire that runs horizontally across the teeth — and from a distance it’s hard to notice. Celebs like Tom Cruise and Faith Hill opted for this type of appliance. Clear aligners are custom-made plastic trays that fit over the teeth. Each one, worn for about two weeks, moves the teeth just a bit; after several months, you’ll see a big change for the better in your smile. Best of all, clear aligners are virtually impossible to notice while you’re wearing them — which you’ll need to do for 22 hours each day. But you can remove them to eat, or for special occasions. Zac Efron and Katherine Heigl, among others, chose to wear clear aligners. Lingual braces really are invisible. That’s because they go behind your teeth (on the tongue side), where they can’t be seen; otherwise they are similar to traditional metal braces. Lingual braces are placed on teeth differently, and wearing them often takes some getting used to at first. But those trade-offs are worth it for plenty of people. Which celebs wore lingual braces? Rumor has it that the list includes some top models, a well-known pop singer, and at least one British royal. So what’s the best way to straighten your teeth and keep the orthodontic appliances unnoticeable? Just ask us! We’d be happy to help you choose the option that’s just right for you. You’ll get an individualized evaluation, a solution that fits your lifestyle — and a great-looking smile! How Do Dental Implants Help Preserve Your Youthful Appearance? What Made American Idol Finalist Elliott Yamin Smile?